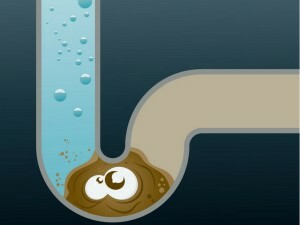 The plumbing that makes up your drains is supposed to do just one thing; carry things away from your house. You are never supposed to see things come back up, especially not things that you can’t see or touch, like odd smells. If you’re experiencing odors coming from your plumbing, there’s a problem, but fortunately, it doesn’t have to be an expensive one. Just ask yourself these three questions, then try to find the answers. Is Your P-Trap Filled Up? The p-trap is the unique bends that you find in plumbing pipes just under your sink. It’s designed in such a way that water is literally trapped there, and that’s a good thing! That water acts as a cheap but incredibly effective “vapor barrier” that is intended to block out gases, such as sewage fumes. Your p-trap can either dry out, or that water can be displaced by air pressure movement in plumbing in other parts of your home. Once that vapor barrier is gone, there’s nothing stopping the smell from sewage from entering your home, so try filling up that stinky sink with water first before resorting to more expensive solutions. 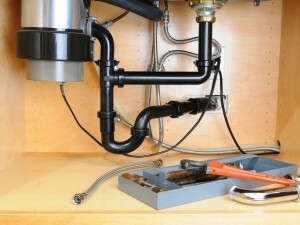 This is often the most common cause of a smelly plumbing. Is Your Water Heater Infested? If you water itself is smelling bad, then it’s not a problem with the pipes, but probably your water heater. Unlike people, bacteria don’t need good food, plenty of sunshine and exercise to stay healthy, they just need a dark, moist, warm location. Sometimes your water heater tank is it. Bacteria in your water isn’t just a smell hazard; it can be a health hazard as well. For example, Legionella pneumophila can cause Legionnaire’s Disease, and thrives in water tanks at a certain temperature. You can deal with this problem by raising the temperature to between 135-140°F which is too hot for most bacteria to survive in. If you do raise the temperature and live in a home with older plumbing, you may need to take some precautions now to prevent scalding. What Is The State Of Your Sewer Line? It’s natural that since your sewer line handles sewage, this may be the source of a bad smell. However, there are many ways and places that a sewage problem can occur, and not all of them are easy or cheap DIY solutions. You may have a ventilation problem where anything from rotting leaves to a bird’s nest may be blocking the proper escape of gases. On the other hand, you may have a blockage in the sewage line itself, or worse yet, some kind of break in the pipes that has been slowly building up to a bigger problem for quite some time. This is the type of problem that will require a professional to evaluate.